At Heisler & Associates we have been helping clients protect their ideas since 1994. Our expertise is in obtaining the best protection possible for our clients’ ideas through patent filings, trademark registrations, copyright registrations and trade secrets. We also have experience assisting our clients with the legal issues associated with licensing their technology and arranging for manufacture of their products. Should your technology be infringed, we have relationships with many intellectual property litigation attorneys and can assist you in planning the best enforcement strategy and selection of the best litigation representation. 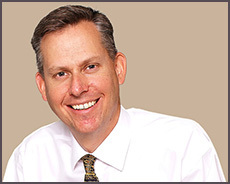 Brad Heisler established Heisler & Associates and is the firm’s principal attorney. Carmen McCarty joined the firm in 1996 and is an intellectual property paralegal with the firm, assisting Mr. Heisler in implementing protection strategies and managing our clients’ patent and trademark portfolios. The firm has established relationships with patent and trademark research specialists, patent draftsmen, local litigation and business law firms and foreign legal counsel, to coordinate all aspects of protection for our clients’ intellectual property, both domestically and overseas. Mr. Heisler and the firm are “AV” rated by Martindale-Hubbell (the highest possible rating). Heisler & Associates represents corporate clients, small businesses and individual clients. We represent clients throughout California as well as clients from other states and international clients. You can learn about our clients by browsing in our Patent and Trademark Galleries or contact us and we can provide you with references.